Learning to read music can be FUN! That is the goal of Tools for Conductors™ sight reading programs: to enable Kindergarten through University students to experience the joy of performing great music with confidence and independence. On these pages you’ll find a quick introductions to all of our programs, along with several sample lessons. Explore them and see how this exciting tool can help your choirs at every level! And there’s more. As the demands on your performance increase the ability to assess your students’ progress becomes increasingly important. 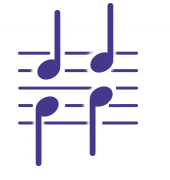 Tools for Conductors’ assessments for choir, band and orchestra are now online, administered through MusicFirst. Click here for more information.